Water Pros has multiple water trucks for all your production needs from making rain and street wet downs to potable water for filling production trailers such as: wardrobe trailers, honey wagons, hair and make up, motor homes etc. We also have a Fuel Unit that can provide fuel to any support vehicles or generators. All trucks have full complement of hose and fittings. We are experienced with special effects pyrotechnics, rain making, street wet downs, and dust control. We have a water meter for hydrants in the Las Vegas Region and in Valley of Fire. Water Pros has 6 rain towers for special effects and hand held rain wands to get the desired rain for your production. We have the full package for whatever your needs may be! This is a really cool area of our motion picture side of the company. Have you ever noticed in any of the photos or movies you've seen the ground is generally wet. Here's why they do that, it helps with the reflection of the lighting which helps with the quality of the shot. This is something used a lot with Water Pros. This is a piece of equipment we use to help in the event of a photo shoot and/or movie is being shot & its on a windy day. As many of you know, those days we get a face full of dust. Imagine what that does to the quality of the product that the movie or photo shot is trying to capture. We bring our truck on-site, & carefully put a light layer of water down to assist in quality control. 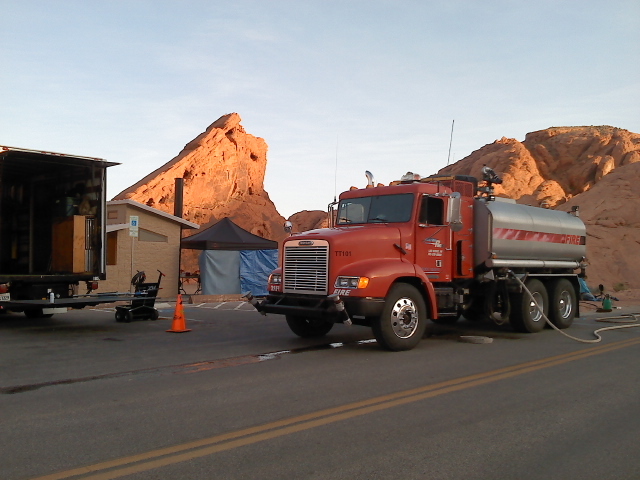 We are capable of bringing a service truck on-site any production, movie, or photo shoot. Its to help in assistance of any mechanical issues, as well as being used as a emergency or sustainable fuel provider. 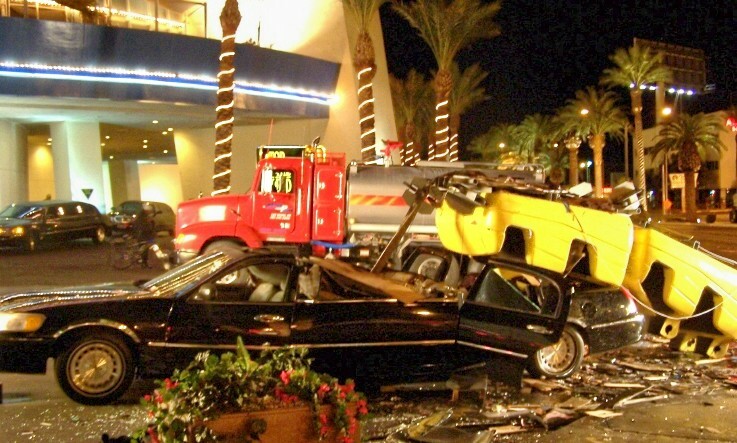 Red Bull Commercial, Heat, Think Like A Man 2, Godzilla, Michelin Tires, Super Bowl Commercial, Transformers, Hungry Man, Hangover 3, World Food Championships, LVCA, Penn & Teller, The Odds, Defenders, Sopranos, Rocky Balboa, Knocked Up, Oceans 13, Lucky You, Scare Tactics, Miss Congeniality 2 & more!